iPoll (previously known as Surveyhead) is an online survey site that pays you for your opinion. You can also download the iPoll app to your mobile and complete missions and quizzes to stand in line to win cash prizes too. They work on a cash system and not a points system which I personally find much more preferable. In addition they give the USD amount and the amount converted into your currency which makes it easier to see how much you will earn at a glance. There is no referral program, however there is talk that this feature will be added soon. You can be kicked out half way through a survey because you don’t qualify and you don’t get any remuneration for this. You can also be kicked out half way through a survey because it has suddenly reached its quota and you don’t get any remuneration for this. Not a lot of surveys that you can qualify for, which means it will take a very long time to earn any decent amount of money and to get to the cash out thresholds! What does iPoll Surveys cost? iPoll Surveys is free to join. 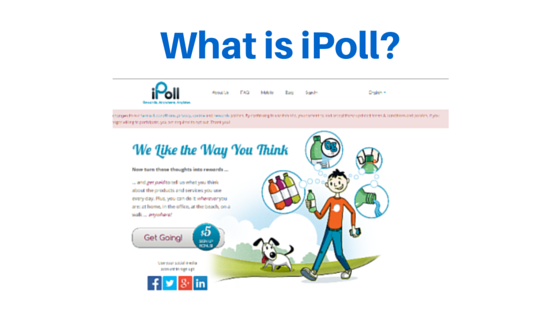 Is iPoll Online Surveys a scam? No, iPoll is not a scam. They are one of the few legitimate online survey companies and to be honest here these are looking harder to come by than I initially thought. iPoll is accredited by the BBB and they have been around since 2008. They were previously known as Surveyhead. Can you make money with iPoll Online Surveys? This really depends on what you mean by money. Yes you can make some money, but it won’t be much and you won’t be able to rely on this as a steady stream of income. However if this kind of thing appeals to you and you do add doing this to some other legitimate online survey companies perhaps it will add up some over time. 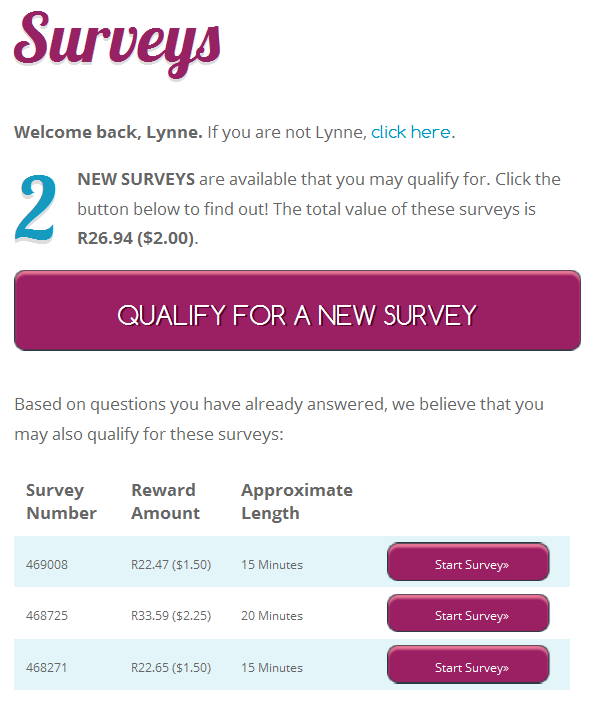 The price per survey varies according to how much time it will take to complete (see above screenshot for examples). You could earn $6.75 per hour doing 20 minute surveys, this is really good for an online survey company. You should see the pitiful amounts some survey companies pay you (these usually allocate points so it is harder to see how little you make, points seem like more money). If you have been reading my previous reviews you will know I am not a big fan of making money with online surveys. No matter how I look at it, you just can’t make a decent amount of money from doing online surveys. They are time consuming and the amount you get paid for each survey is hardly anything. Add to the fact that you will only receive a few surveys a month, add in the cash out thresholds each company has… and yeah well this is not easy work. However that said this is one of the very few real and legitimate online survey companies around. They don’t mess you around and there is no BS on their website. This is refreshing as most online survey companies I have reviewed have been a scam or a complete waste of time. There are only a few that I have given a thumbs up to! Within a few minutes of registering on their website I managed to complete a paid survey, which is of course still pending approval and might be for a few weeks yet. The point is that I managed to complete a survey within minutes, this is very rare when first registering with an online survey company. My personal experience on joining survey companies is that they mess you around for a long time before being able to do anything worthwhile on their website! If you team this opportunity up with Opinion Outpost, Inbox Dollars, Swagbucks, Qmee and User Testing perhaps you can make some nice pocket money over time? So yes if this is the sort of thing that appeals to you I suggest you give this a go. If you do try it out, make sure to download the app to your mobile, you will be eligible for a lot more surveys! Excel Cash Flow Review – $15 per link posted… Really? You would be surprised how many people love doing online surveys and rave about them. On a previous survey company I reviewed where I said it was a terrible way to make money I got feedback from a reader that she disagreed because she made I think $10 in a week or two… I just thought shame, poor woman! But yes lots of people love this sort of thing, go figure? Thanks for this post Lynne. When I saw the title I was hoping I finally found a good survey website which will let me earn some extra money while I’m working on other projects. But unfortunately, as you say, you can’t earn much with this company and it will take a long time before you can redeem your $50 by Paypal . One good thing about iPoll is that they are more generous than other companies, but the fact that they can reject you in the middle of a survey is so annoying, it happened to me before and made me waste a lot of time. Have you tried any other online survey companies? Yes it is not the best website for surveys because of this. Look in all honesty I don’t think online surveys will earn you much extra income at all, but give Opinion Outpost, Inbox Dollars or Answered Insight a go. 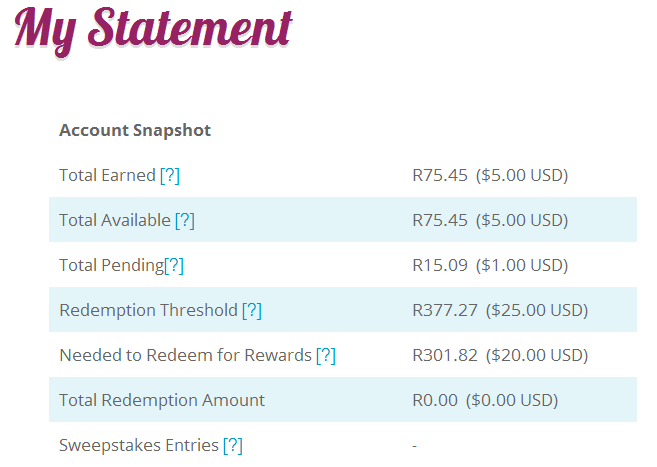 Then there are some loyalty programs that can earn you a little too, such as Swagbucks and Qmee. And add in User Testing at $10 a test and perhaps it will all add up? You could even try Clixsense, but this is once again putting in a lot of effort for hardly any reward. Otherwise if you are willing to invest some time and effort to build up an online business why not try affiliate marketing? You can get started for free with Wealthy Affiliate which is my #1 recommendation. Other great programs (but which come at a cost) are The Chris Farrell Membership, Affilorama and Bring the Fresh. Or you could even consider launching your own online shop? Check out Shopify, perhaps this can help you on your way. I really can’t say, the tests come through and they are always looking for different people. So they might be looking for someone that speaks Italian as their first language. So in that regard it is luck of the draw. What I like is that you just don’t get messed around at all. You get an email saying there is a test available, you log in and check the requirements. If you don’t fit what they are looking for you reject that test and if you fit it, then you take it. It is quite simple so other than logging on every now and then you don’t waste your time. It is very different to taking an online survey for $1.50 and 15 minutes into it you get kicked out and you don’t get paid anything for your time! That just makes me mad! There are also other websites looking for user testers but I haven’t really researched that, perhaps some of those mess you around? I am going to review more when I get the chance. 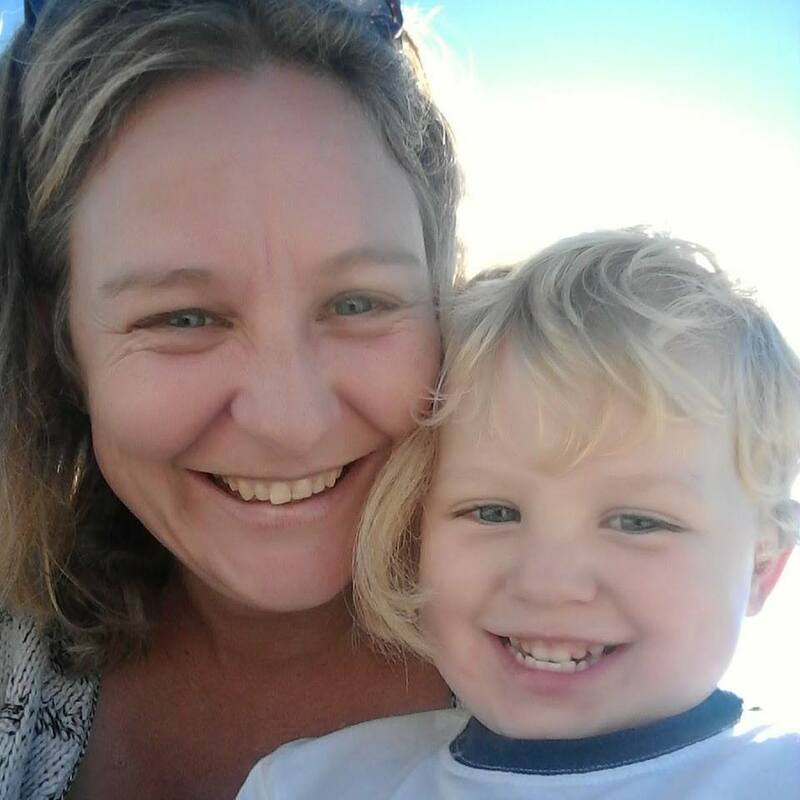 If you find anything that is worthwhile and works for you please let me know so I can share it with my readers. Oh wait, here is something you can maybe do…. create training on WA! I just earned $20 for December and it was easy work. I am going to write a post on it very soon. It might take a long time for the first training to be approved, but once it is then it is fast from then on. You must have learned some things working online, so you must be able to offer something of value to a newcomer right? Create a training tutorial with that person in mind!